Time to decorate your surfaces with some black girl magic! Note: these are NOT vinyl stickers, so are not waterproof. 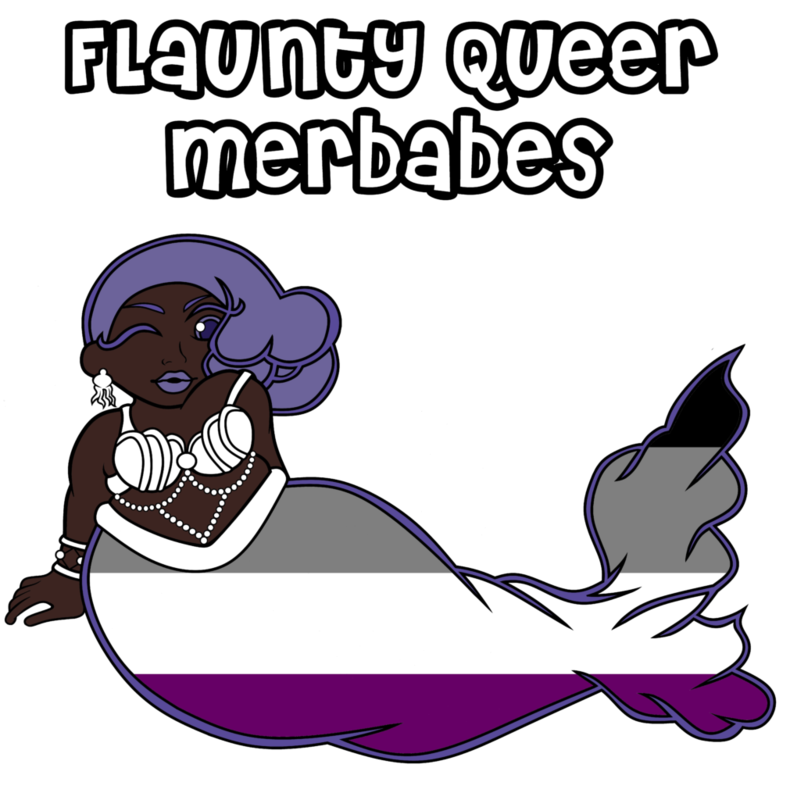 The newest sticker set features the girls rocking their queer flag AS MERMAIDS! 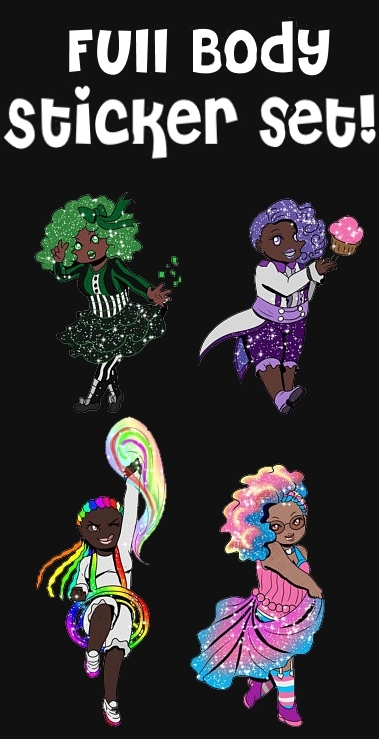 Art done by Briana herself, the first series features the four main girls, and future sets will feature more characters and more LGBTQ+ identities. These stickers are glossy and $3 each. Click on the image above to go to the purchase link! 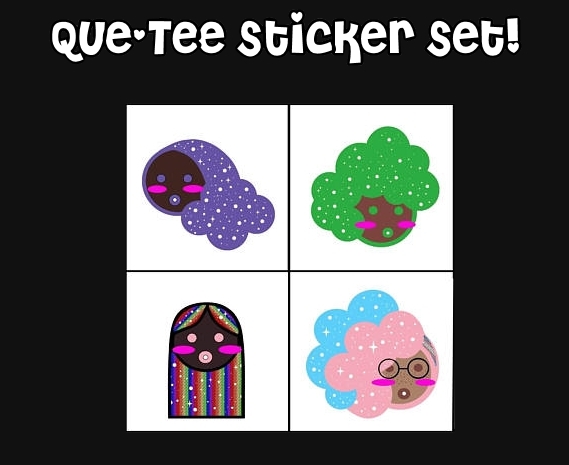 This sticker set features the colors of various LGBTQ+ identities. Based on the title of the first book, most of the colors reflect the characters in the series OR characters in Briana’s other book series. 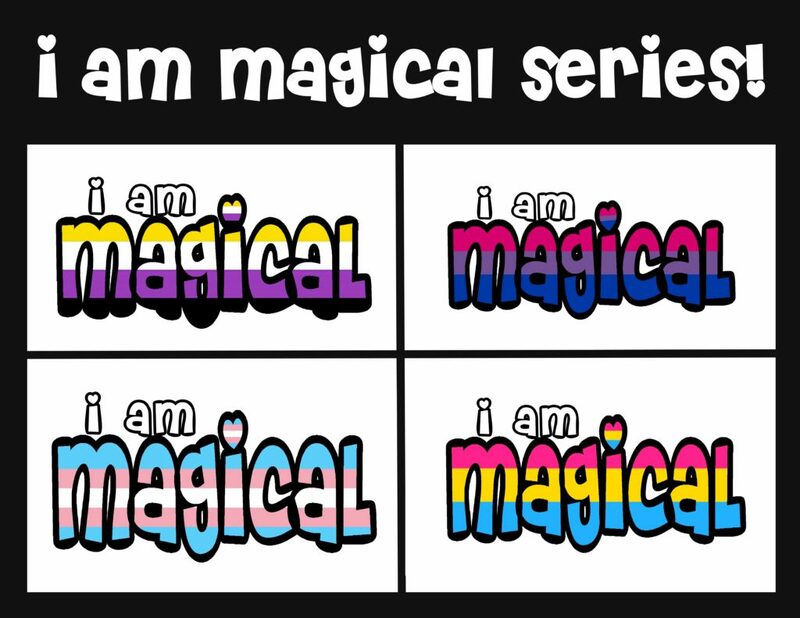 If there’s a color set you don’t see, don’t worry, Briana is working on it (or you can ask for a specific sticker) These stickers are glossy and $3 each. Click on the image above to go to the purchase link! These adorable face stickers depict each girl and was made by Briana and are 1 1/2 inch circles. They’re $1 each. Click on the image above to go to the purchase link! Next up are some adorable, full body stickers of the girls. These chibis were done by Musetap Studios and are about 3 X 2.5 inches. They are $2 each. Click on the image above to get to the purchase link!